The growing need for dynamic and scalable software calls for the use of techniques like automated testing and continuous integration to develop easily packaged and testable software to be deployed to testing or staging servers, resulting in the ability to quickly and reliably push enhancements and bug fixes to clients on demand at low risk and with less effort and stress-while retaining the quality. 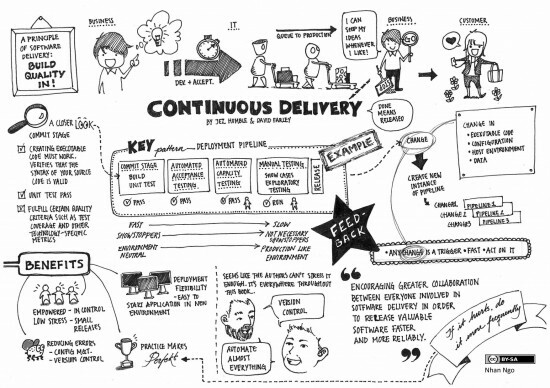 Continuous delivery aims to improve on that software delivery process, and increasing numbers of software development companies are adopting it to meet the ever-changing needs of clients. 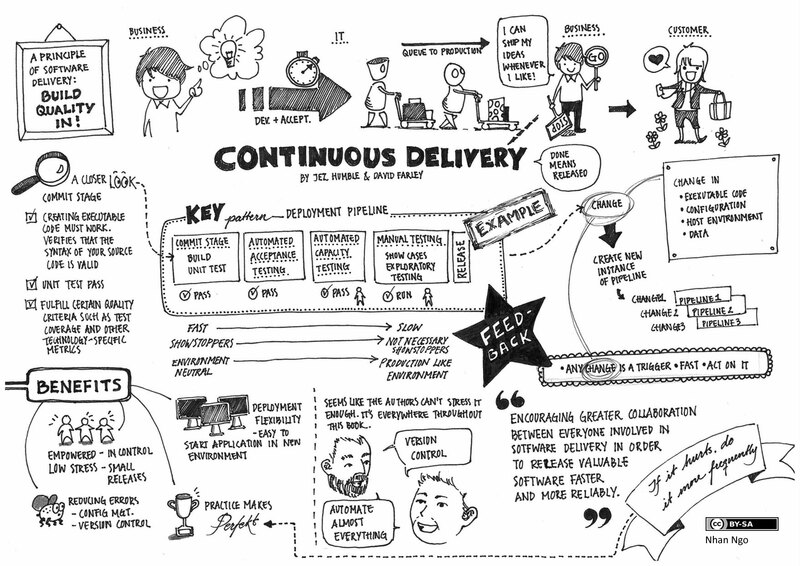 Continuous delivery is in action in notable companies like Google, Amazon, and Facebook. It’s quickly being adopted by companies that offer Software as a Service (SaaS) along with non-SaaS companies like boxed/on-premise software, hardware/embedded components, industrial goods and services, and consumer goods and services. Continuous delivery can be utilized with ASP.NET, and NoSQL can eliminate the step of data migrations and schema changes, which are often manual steps in a continuous delivery environment. Other useful techniques for developing code in isolation, such as code branching, play a big part of the continuous delivery environment, but must be adapted to fit the principles of continuous delivery. Practices like running multiple code branches at once can be unnecessarily problematic and impractical since the code needs to be properly managed and releasable code must be built early in the process from a single code branch if it is to successfully pass through all phases of the pipeline. In the end, continuous development calls for the best practices of software development and management to allow quick reaction to client feedback and developer updates, reduce risk through controlled deployments to staging and testing servers, exposing of inefficiencies and unnecessary costs through a streamlined use of tools, and a flexible release option to cater to your clients’ and users’ needs.